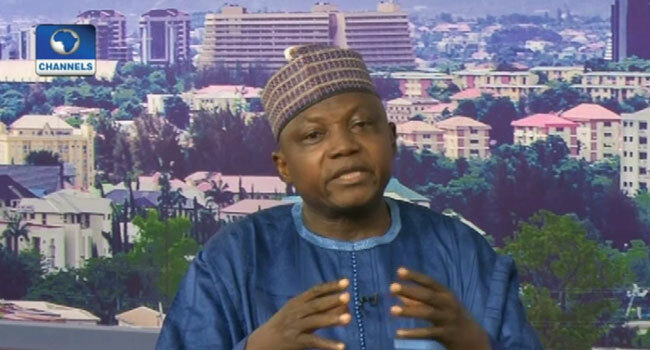 The Senior Special Assistant to the President on Media and Publicity, Mr Garba Shehu, made the call on Thursday during an interview on Channels Television’s Sunrise Daily. “Boko Haram has been degraded and technically defeated,” he said. Shehu added, “I think what we have been dealing with is that Boko Haram has just become a generic term to describe the kind of criminal activity and terrorism that is cross-border happening in the Lake Chad Basin area. According to the presidential spokesman, the terrorists are adopting new tactics which makes it imperative for the military and the government to review strategies to confront them. He also lamented that the insurgents have foreign assistance which has made it easier for them to attack innocent people. Senior Special Assistant to the President on Media and Publicity, Mr Garba Shehu. Shehu, however, assured Nigerians that despite the challenge, the Muhammadu Buhari administration would step up its efforts to nip security challenges in the bud in the country. He added that the government would not relent in supporting the nation’s military with the required equipment to flush out the insurgents from the North East. “It is not possible that the military will have everything that they need,” the President’s spokesman admitted.